Thanks for the help in the comments! If you have an update, correction or new questions, please send us an email at la@curbed.com. Digital photos are especially welcomed. 1) Downtown: The Roosevelt Lofts appear to be in the home stretch. After probing an insider and a nice sales rep we can definitively say that November 2008 appears to be the likely date for the issuance of certificate of occupancy - however, the insider says Thanksgiving and the woman we spoke to at the Roosevelt is guessing early-November. Inspectors are on site, the pool is ready for the red cup party circuit, and the public is ready to move-in. Huzzah! for new downtown loft housing. 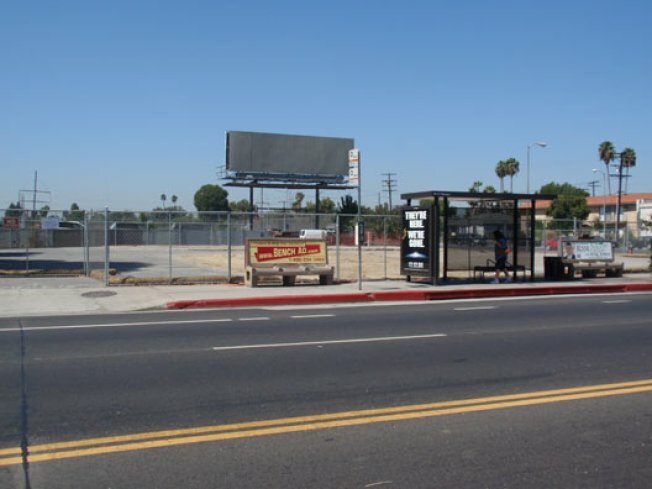 2) Tarzana:We checked, but so far it appears nothing but environmental remediation is going on at the corner of Reseda and Victory (pictured above). The gas station on the site was bulldozed in February, according to demolition permits.